Thousands of Chalets and Apartments, including many in the Polish Ski Resorts of Bialka Tatrzańska, Bukowina Tatrzanska, Czarna Góra, Karpacz - Kopa, Krynica, Lesser Poland, Lower Silesian, Nowy Targ, Silesian, Szczyrk, Szklarska Poreba, Tatra, Zakopane, Zawoja, bielski and jeleniogórski. Luxurious, two-level apartments with mountain views for 6 people. "A beautiful view from the terrace, where you can drink your morning coffee ... A warm fireplace and cozy interiors are a great combination to spend pleasant moments in the mountains. Apartment Nad Łomniczką.3 is a property set in Karpacz near Western City. Guests are welcome to enjoy the free WiFi. This apartment is equipped with 2 bedrooms, a satellite TV, and a kitchen with a dishwasher and an oven. Boasting a garden, Chaty pod Beskidkiem is set in Szczyrk, within 1.2 km of COS Skrzyczne Ski Centre and 1.2 km of Szczyrk - Jaworzyna. Complimentary WiFi is featured. 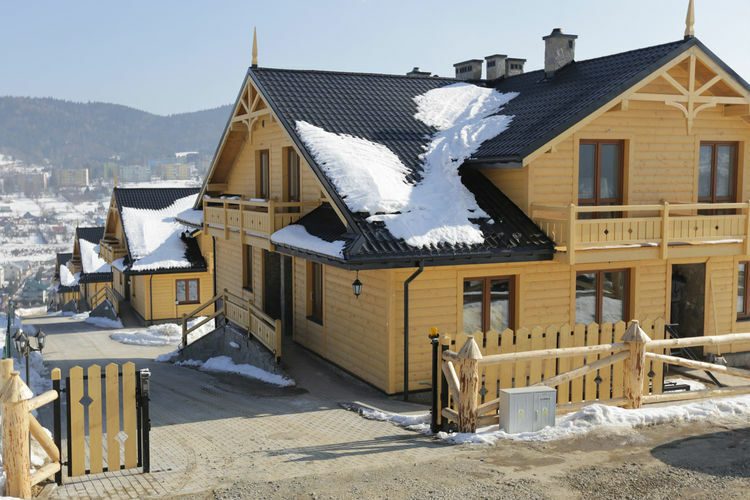 Check availability and prices for Thousands of Chalets and Apartments in Poland. Note :- Ski Accommodation deals to Poland are subject to change until booked. You must check any particular requirements directly with the Operator at the time of booking. Warning :- Snow Sports are Dangerous! Skiing, snowboarding and all winter sports involve risk of serious injury or death. You MUST confirm all information, especially snow and weather conditions, in Poland before you ski or board. You participate at your own risk.